A cream specially designed for the derrière with a gentle peeling effect. Exfoliates and smooths the skin of the buttocks eliminating imperfections and leaving it smoother and softer to touch. Rapidly absorbing formula with extract of burdock, known for its derma purification properties. With a pleasant green tea fragrance. 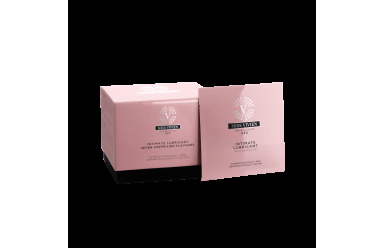 Visibly improves the skin’s appearance leaving it silky and smooth. Give yourself a perfect derrière that boosts your confidence in seductive moments. With Burdock extract, known for its derma purification properties. INGREDIENTS: AQUA, GLYCERIN, CAPRYLIC/CAPRIC TRIGLYCERIDE, GLYCERYL STEARATE, C12‐15 ALKYL BENZOATE, SORBITOL, PEG‐100 STEARATE, POLYACRYLAMIDE, SALICYLIC ACID, LACTIC ACID, C13‐14 ISOPARAFFIN, CETEARYL ALCOHOL, SODIUM HYDROXIDE, BENZYL ALCOHOL, PHENOXYETHANOL, PARFUM, LAURETH‐7, POTASSIUM SORBATE, PROPYLENE GLYCOL, ETHYLHEXYLGLYCERIN, DISODIUM EDTA, SODIUM HYALURONATE, ARCTIUM MAJUS ROOT EXTRACT, TOCOPHEROL, BUTYLPHENYL METHYLPROPIONAL, LIMONENE, LINALOOL. Apply to the buttocks using soft circular movements to eliminate dead cells and stimulate the circulation. To achieve maximum benefits use the cream once or twice weekly.